Short Paragraph MY FUTURE PLAN OF LIFE – My aim in life is to become a teacher. There is no doubt that education is the most important factor in the proper mental development of a person. Without proper education, a man cannot developmentally and psychologically in the proper way. It is the teacher who plays the most vital role in ensuring proper education for a person. To fulfill my dreams of becoming a teacher, I will study very hard. Then after finishing my master’s degree, I will have to complete Bachelor of Education (B. Ed.) and Masters of Education (M. Ed.) degrees. I am aware that having required educational qualification is not enough for becoming a good teacher. One has to have certain qualities for being a good teacher. The essential qualities of # teacher are patience, endurance ()good moral character, compassion towards students, a proper understanding of different situations, good pronunciation, ability to give speeches, leadership abilities, and the abilities to instill a love for knowledge in his pupils. Hence I will try my best to acquire those qualities. I am certain that it is not an easy task. So, I will try my best to attain those prerequisites. As I am fully determined in my aim, I am confident that I will be able to become a good Teacher. Aim in Life Essay – An aim of life is the ultimate goal that one wants to reach by working hard. This is the result one wants to achieve in life. Every person has some aim. Without an aim, none can work congruously or in a disciplined way. An aimless life is like a boat without a rudder, having no course of its own, incapable of reaching any destination. Aimless work is futile in itself. It pays nothing. For example, if one walks along a road with no mind to reach any specific destination, one eventually reaches no destination. Life is like a long unmeasured walk, and the roads are incredibly many. Therefore, before starting this long strenuous journey, we must first decide where to go. This timely decision will then show us the probable ways to reach there. Otherwise, the journey will be only a journey-a waste of time, wealth, and stamina. If a hunter runs aimlessly through a forest and fires thousands of bullets around at no specific target, it is most likely that he will ultimately have nothing. If a boatman who wants to cross a river in strong current does not decide beforehand what spot on the other bank to reach and work accordingly from the very beginning, he will never be able to reach there; the strong current will Milch him away from his course. The aim must be there before every course of action. It is generally the case that man works but does not enjoy it; what he enjoys is what he achieves: in other words, he enjoys his work as long as he realizes that such work will pay him something. And it is only when he enjoys his work does he work well and achieve what he has in mind. Hence the importance of aim; it comes first and sets forth what he should do first to achieve it. But that is not all an aim does; it helps him to decide what to do, when to do, how to do, and how not to do something to achieve it. All kinds of plans, management, coordination, and control emerge out of a perfect sense of that aim. But in this regard, it is to be borne in mind that an aim is not a mere daydream. We should aim at what we are really interested in and what is eventually achievable. A man who is now a renowned doctor could have perhaps aimed to be a renowned poet in his life. But that he is a doctor and is successful in his line explains much to the contrary. This fact proves that if he had chosen to be a poet, he might have become so, but perhaps not a renowned one. His interest, aptitude, and dream undoubtedly are strictly in favor of being a doctor. So it is clear that we should choose our aims in light of our respective dream, aptitude, and interest. We do best what we really want to do and what we have the capability to do. And choosing an aim is undoubtedly choosing something for the achievement of which we can do our best. Sometimes in the case of some people, the selection of an aim is done in light of the need of the time society or country, or in the hope of maximizing financial gains. But whatever the philosophy or objective behind the selection, the interest and aptitude of the person in question must be favorable to the aim. A man’s aim is governed broadly by the visions-the broadest framework of his thinking and perception supported by his personal philosophy. The selection of the aim of a man, Therefore, can be influenced to the extent that we can influence his visions and philosophy. In a poor developing country like ours, we can take advantage of this opportunity and indirectly influence others to choose such aims the fulfillment of which will go a long way in the fulfillment of the overall goals of the nation. And at the same time, it is to be seen that everyone is encouraged to choose his aim early in his life and works towards the achievement thereof. As a matter of fact, there is nothing except work. We can achieve any aim whatever if we work properly and hard towards its achievement. A well-chosen aim itself is a great motivation. It gives one the necessary energy and stamina needed to work to reach it. In this regard, it is to be borne in mind that we should choose a rather difficult and challenging aim. It elevates our mind and prepares us to do something great. It gives us an opportunity to utilize the full potential within us. Eventually, however, we may not be able to achieve the goal in full, but that matters little. An ambitious man who stretches out his hands toward the moon will not have it, but will at least know how far it is. And that experience is valuable and rare indeed. Aim in Life Essay – Every man must have some aim in life. If a man has no particular aim, he can not succeed in life. He does not know what he will do. Life becomes significant only if there is a suitable effective aim in life. A man without an aim in life is like a ship without a rudder. A man should select a particular profession from the early stage of life. Different people have different aims in life. Some want to be teachers, some want to be engineers, some want to be politicians, some want to be high officials and some want to be doctors. In the same way, I am reluctant to choose from the many. Since my boyhood, I had great regard for the teaching profession. My father is a village High School teacher. Now and then, he says that a teacher can give proper service to his country through the teaching profession. In fact, a teacher can help to remove illiteracy and ignorance more than anyone else. Being a teacher, I shall be able to influence the young boys and girls on whom the bright future of a nation really depends. Consequently, they may be the worthy and lovable citizen of Bangladesh. Moreover, I think that the service of a good teacher is very essential for the welfare of the countrymen. So the country will progress and will be prosperous. Moreover, a teacher is a prominent figure in society. He is honored by all. In order to become a successful teacher, I must require some degrees. I want to be a teacher of English. After graduation, I shall complete the B.ed. course to qualify me as an ideal teacher. Then I shall come back to the village and adopt teaching as a profession. Finally, we can say that a good teacher is an asset for a nation. We know that education is the backbone of a nation Similarly a good teacher is the backbone of education. That’s why I want to be a good teacher. I shall be a happy man if I can fulfill my aim in life and thus do something good for my country. Aim in Life Essay – Everybody should have a definite aim in life. An aimless man cannot succeed in life. He stumbles in his way of life. There is a proverb that a person without an aim is like a ship without a rudder. This proverb is very important for young students. Because there are many paths open to them. Some of these are good and some are bad. To take to the right path, they require guidance. Different men have different aims. Somebody wants to be a doctor, somebody wants to be the engineer, somebody wants to be a politician, somebody wants to be high official and somebody wants to be a teacher. But, my aim in life is to be a teacher. There are some reasons for which I have decided to be the teacher. I want to serve my country. In this case, I think that the teaching profession is very appropriate. My father always inspires me to take this career. My father is a teacher at a village High school. He always says that a teacher can lead a nation in the right way. For this, a teacher is called an architect of a nation. We know that most of the people in our country are illiterate. They are deprived of at least their basic human needs. Illiteracy paves the way of poverty. This poverty hinders all development efforts of the country. So, it is not possible for developing the country without removing illiteracy from society. I want to change our poor condition. Being a teacher, thus, I want to contribute to the national development. So, I want to be an ideal teacher. But, I never expect to be a college or university teacher. I want to be a high school teacher and want to remain in the village. To be a teacher, I have to take good preparation in student life. After obtaining graduation, I shall complete the B. ED. course. It is a very helpful course for teachership. Then I shall come back to my village high school to join as a teacher. I want to stay in the midst of students and village people. I have also a plan to open a night school for the adults. I shall teach them about agriculture, family planning, health, nutrition, children raising etc. I shall distribute books and agricultural materials among them free of cost. However, a good teacher is an asset for a nation. And a good teacher can change the nation. Now I am working hard to fulfill my desire. I hope that I shall be able to reach my goal and serve the nation by the grace of Allah. Aim in Life Essay -Introduction: An aim or future plan is very necessary for everybody’s life. So, everyone should have an aim in life. If a man can choose his aim in life early, he gets many advantages. Such a choice can help him take the appropriate course to attain his aim in life. An aim works like a rudder in a boat and leads a man towards success. My Choice and Reasons behind My Choice: My aim in life is to become a teacher. A teacher is one of the most important people in the development of a country. Bangladesh needs good teachers. There is no doubt that education is the most important factor in the proper mental development of a person. Without proper education, a man cannot developmentally and psychologically in the proper way. It is the teacher who plays the most vital role in ensuring proper education for a person. In this way, what education a person will receive depends largely on the quality of the teachers he gets. So, if we have good teachers, the quality of education in the country will improve. That subsequently generate good students and efficient people. As a result, the whole country will prosper ultimately. Preparation: To fulfill my dreams of becoming a teacher, I will study very hard. Then after finishing my master’s degree, I will have to complete Bachelor of Education (B. Ed.) and Masters of Education (M. Ed.) degrees. I am aware that having required educational qualification is not enough for becoming a good teacher. He has to have certain qualities. The essential qualities of a teacher are patience, endurance, good moral character, compassion towards students, a proper understanding of different situations, good pronunciation, ability to give speeches, leadership abilities, and the abilities to instill the love for knowledge in his pupils. Hence I will try my best to acquire those qualities. I am certain that it is not an easy task. So, I will try my best to attain those prerequisites. As I am fully determined in my aim, I am confident that I will be able to become a good teacher. Conclusion: A fixed aim in life can be a recipe of success for a man. After selecting an aim, everybody should strive to attain it. There is nothing impossible for a man. If we try sincerely and diligently we can attain our aims. 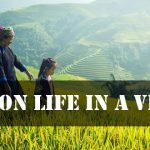 Aim in Life Essay – Introduction: Life on earth is not a bed of roses. Man lives in Leeds but not in years. Hence arises the question of ambition. It provides a man its meaning and purpose. A man may be compared to rudderless ship without an aim in life. Different aims: There goes a maxim- “Many men, many minds”, So aim in life differs from man to man and from time to time. Different men have different aims in life. They choose their professions or, aims for different reasons behind. Some people intend to be businessmen, other engineers, doctors, craftsmen, and teachers. To be something in dreams is like building a castle in the air. An aim beyond one’s reach or capability leads someone towards frustration, tension, and regret. So everyone should be reasonable in choosing his aim as far as possible. Man’s intention, beyond the capacity to become anything, is nothing but a brown study. My aim Since I have come off a lower-middle-class family, I Don’t dream to become the president of my country, a general in the armed forces, a millionaire or a merchant soon. So I have considered everything and then I intend to become a teacher. This ambition to become a school teacher is practicable, achievable, possible, probable and useful. Reasons: There is also a reasonable reason behind my choosing this. I know that a question why I like to become a teacher may rise towards me from my friend’s circle or wellwishers. In order to give them a satisfactory answer, I am to tell reasonably that it is possible for me to bring my dream into reality. On the other hand, a teacher serves in a rich sector. He not only imparts education to the students in the fullest sense but also builds the nation with his sublime idealisms. To the teenagers and the young adults, he can give the guidelines in light of his practical experience. I also find that teachers are poor, ill-clad and ill-fed. Not knowing why I want to become a teacher in future as it is my blood. Here is another point that I can establish with an accent of -reason that a common thing many a time becomes uncommon. One can be a teacher but cannot be an ideal one. My father was a very successful and popular teacher. He was unselfish, dedicated, enthusiastic, honest, hardworking, sensible judicious and learned. Students and their parents respected him whole-heartedly. I like to follow his footsteps and emulate him. Another reason behind my choosing this noble career is the sense of a true patriot as a bonafide citizen of an independent country. Most people are illiterate. As an educated fellow my sacred and noble duty to remove illiteracy from the soil of the country. Only the teacher can serve this noble purpose and fulfill the mission. How to fulfill it To work as a teacher for the well-being of the illiterate nation withoát any good salary, remuneration, and financial assistance is very difficult. Despite all its drawbacks, I shall go back to my native village, establish a school, appoint good teachers after my selection and start teachership. Though a dignified profession, toppers and the cream of the students never take up this ill-paid and class profession. They think that the disappointed and unemployed persons finding no suitable way are bound to take up this poor profession. My School: My school will be free from vicious politics, exploitation, nepotism, terrorism, chaos, and confusion. My target will be to make my school reputed, ideal and my profession popular, acceptable, dignified, professionally profession, lofty, and an instance to the present and the future generations. Conclusion: Aim is a target. None can reach his destination without it. So everyone should consider the pros and cons of everything before determining to choose any profession because man’s future course of action entirely depends on his right choice.